Buttermere is surrounded by high ground to a greater extent than most of the other lakes, sitting as it does at the head of a long valley. The southern fells are the most dramatic, with Red Pike, High Stile and High Crag looming over the valley, but the view up Honister Pass, with the sharp edge of Fleetwith Pike. 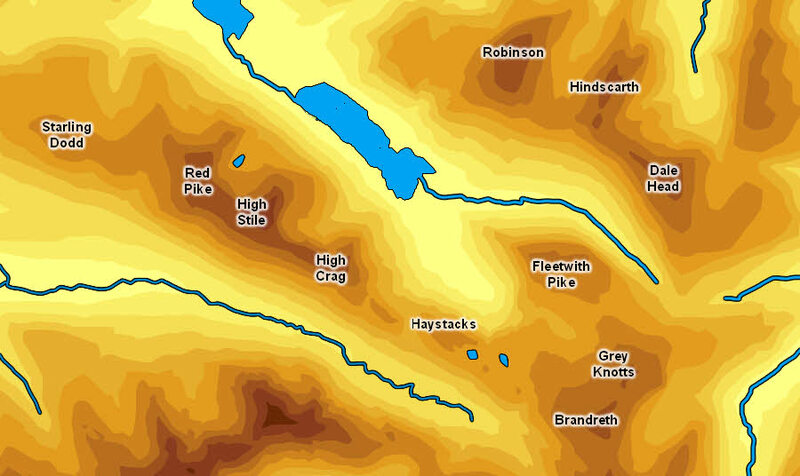 The northern fells - Robinson, Hindscarth and Dale Head - have their most dramtic features facing towards the Newlands Valley, but still provide a high steep wall to the valley.